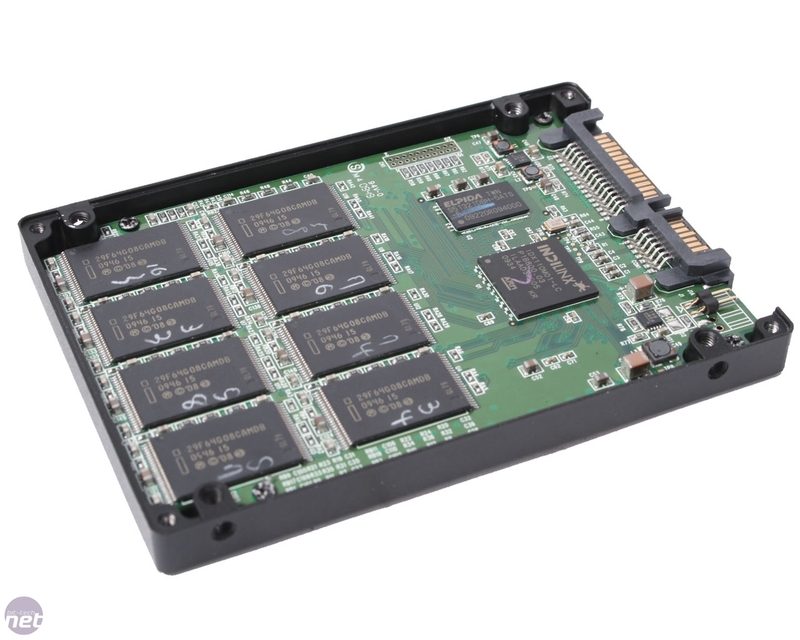 In the past twelve months Indilinx Barefoot drive controller based SSDs have firmly established themselves as some of the best on the market and with a the addition of TRIM firmware support banishing the gremlins of performance degradation SSDs have never looked such an attractive upgrade. The big problem though remains pricing, with a 120GB OCZ Vertex costing £300, or £2.41/GB – a very hard cost to stomach for many considering a 1TB hard disk drive still does the job at just £0.06/GB, regardless of the fantastic performance improvements SSDs are capable of. 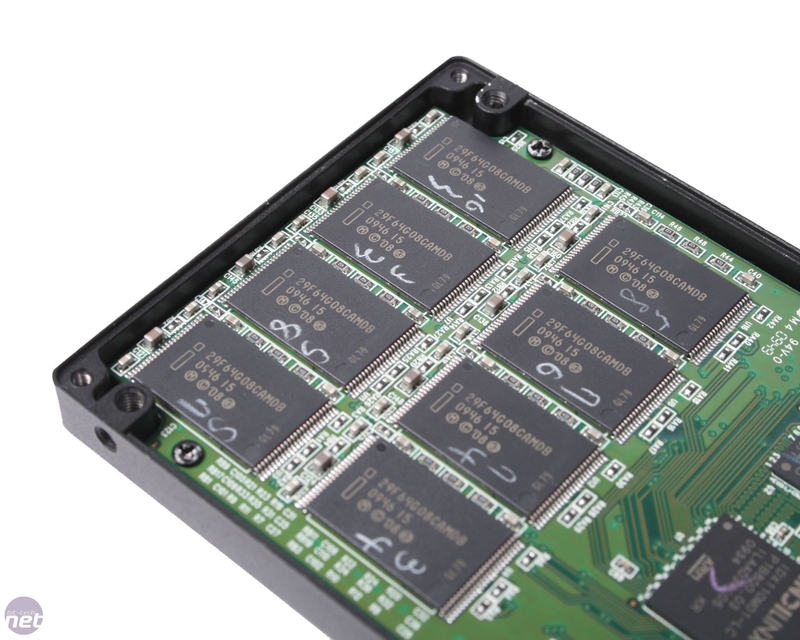 The problem lies in the pricing of the high quality NAND flash memory required for use in SSDs, as well the competition for production time from companies like Apple who will gladly buy up all the NAND production going prior to a major product launch. 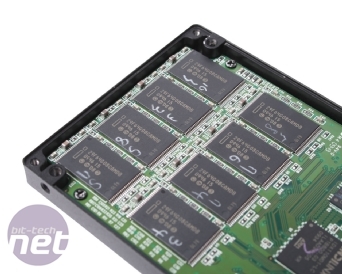 Whatever the reason for the high pricing, it means that at present NAND represents over 85 per cent of the cost of an SSD, if not more. 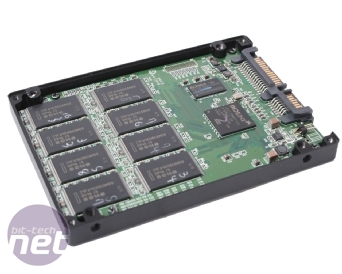 The answer then is to source cheaper NAND and as Samsung’s high end NAND production is currently limited to 40nm (following performance issues with its 32nm parts), Intel has the production advantage having launched high speed 32nm NAND drives last year in form of the X25-M Gen2. This is exactly what G.Skill has done with the Falcon 2, pairing a new version of the Indilinx Barefoot controller, the Indilinx Eco, with lower cost 32nm Intel NAND flash, delivering a drive that’s notably cheaper than other Indilinx SSDs, but which offers most, if not all of the performance. 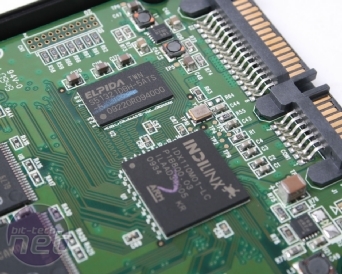 The new drive controller, tagged TDX110M0-LC is accompanied by the same 64MB Elpida S51321DBH-5ATS cache as used in all the Indilinx Barefoot drives, and bar the new NAND and revised drive controller the rest of the PCB is identical to any of the other Indilinx drives we’ve looked at before. 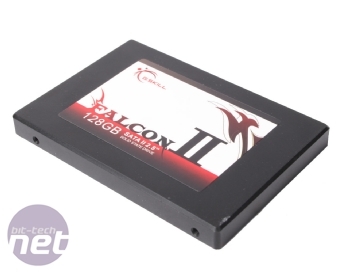 G.Skill are quite conservative with the rated speeds of the Falcon 2 though, rating the drive’s performance at 220MB/sec read and 150MB/sec write, notably lower than the 230MB/sec read and 190MB/sec write of the original Falcon. 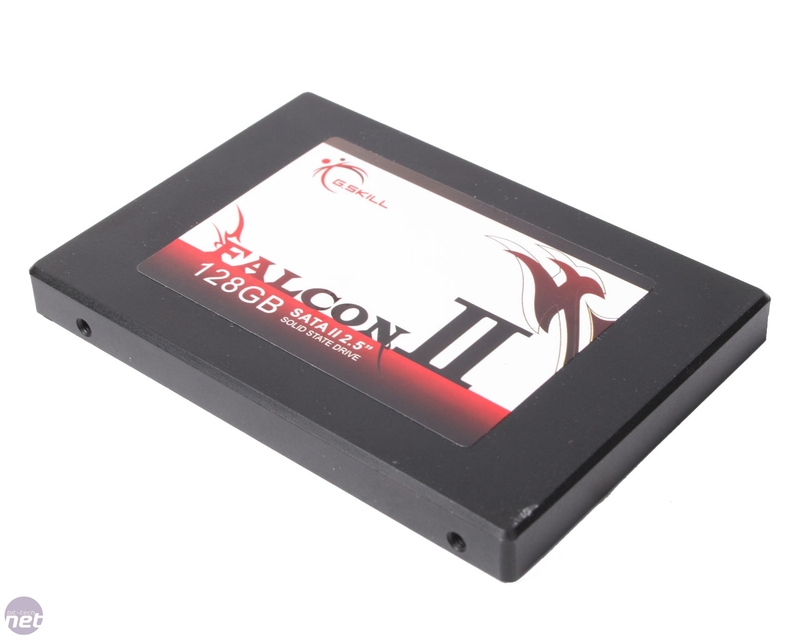 Of course, the use of Intel NAND has helped drop the price by a fair margin too with the Falcon 2 available for £260 – a good £40 less than the best price you’ll find on an 120GB OCZ Vertex. 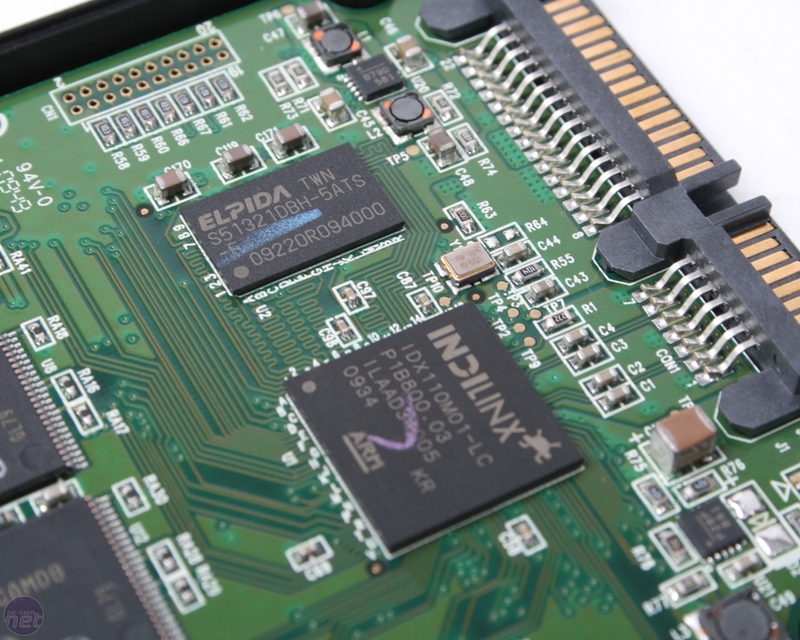 When it comes to the Indilinx Barefoot controller though, there’s some confusion regarding firmware support with different drive partners offering very different firmware updates and revisions at very different times. This is because only OCZ, Crucial and Super Talent are full Indilinx partners, allowing these companies to deploy firmware updates earlier and via non destructive bootable ISOs, while companies like G.Skill and Patriot have to wait and only get destructive firmware updates requiring you to jumper the drive and boot from a second OS install, a process which is hardly convenient. Right now all the Falcon 2 drives on sale run version 1881 of Indilinx’s firmware, while the standard Falcon, along with the Vertex and most of the other Indilinx based drives now offer version 1916. Realistically though there’s not much difference between the two firmware versions, with 1881 a little older and missing out on some write leveling optimisations. Critically though v.1881 does support the TRIM command in Windows 7, allowing the drive to perform automatic, rapid and unnoticeable performance recovery, so long as TRIM’s fairly strict entry demands are met.